A total of 556 people died in 15 plane crashes in 2018, significantly more than the previous year, but long-term trends show that safety has improved, an aviation watchdog reported. The year 2017 was the safest year in aviation history with only 44 people killed in 10 airliner accidents, said the Aviation Safety Network. 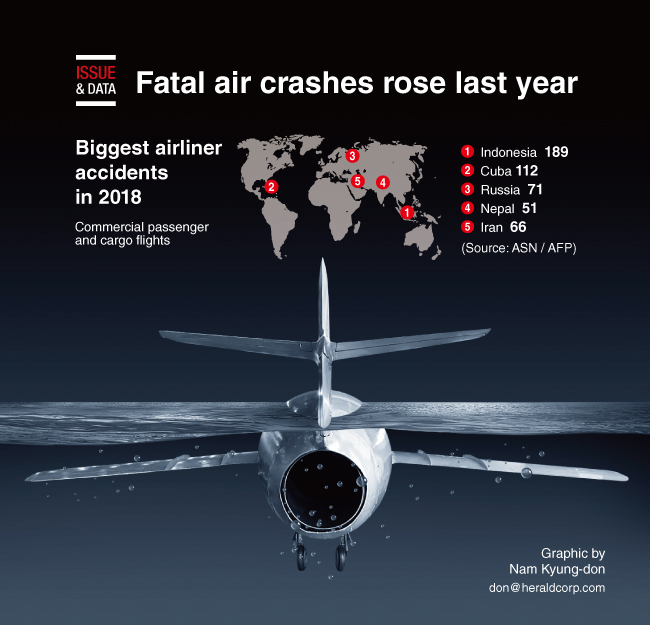 Last year was still the third-safest year in aviation history in terms of the number of fatal accidents and the ninth-safest in terms of lives lost. Last year’s deadliest accident was the Oct. 29 loss of a Boeing 737 plane operated by Lion Air, which crashed off Indonesia killing all 189 people on board.